A guiding principle in the diverse investigations of biological molecules is that the functional and structural properties of macromolecular assemblies are determined by chemical and structural properties of the constituent molecules and the manner in which those molecules interact. In biological membranes, this requires an understanding of how membrane lipids, primarily phospholipids and cholesterol, and proteins interact with each other and among themselves, so as to carry out a wide range of biological functions. Most of the functions associated with biological membranes (e.g., signal transduction, ion movement, energy conversion, etc.) are carried out by membrane proteins. The phos-pholipids of neuronal and retinal cells are rich in highly unsaturated acyl chains, especially those of docosahexaenoic acid, 22:6n-3. A primary point of interest when considering receptor signaling is the role of highly unsaturated phospholipids and their effect on membrane protein function. Thus, the focus of this chapter will be on highly unsaturated acyl chains as components of phospholipids and their role in modulating membrane-associated signaling pathways. Therefore, the effects of polyunsaturated free fatty acids on the function of membrane proteins, such as L-type calcium channels (Kang & Leaf, 2000), y-aminobutyric acid receptor (Nabekura et al., 1998), and voltage-gated potassium channels (Poling et al., 1996) will not be discussed. testing, the 22:6n-3 supplemented and breast-fed groups showed significantly better performance than the formula-fed group. Several psychological disorders are currently being discussed in terms of the effect of the physical state of the membrane lipids on neurotransmitter receptor function. Hibbeln and Salem (1995) suggest that serotonin levels and membrane 22:6n-3 content are directly linked, whereby low 22:6n-3 yields low serotonin. This results in an individual being susceptible to depression or other affective diseases. These authors suggest that the depletion of 22:6n-3 induces a change in membrane physical properties, which, in turn, influences the function of either serotonergic receptors or serotonin reuptake systems. 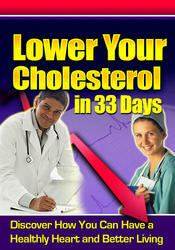 In other literature, a conflict in the role of cholesterol in depression and suicide is evident. The rate of suicide and depression has been linked to total serum cholesterol levels. Suicide and violent behavior have been correlated with low serum cholesterol (Muldoon et al, 1990; Engelberg, 1992); however, a recent report indicates that the ratio of violent to nonviolent suicide rates correlates directly with total serum cholesterol (Tanskanen et al, 2000). The latter study suggests that the ratio of violent to nonviolent suicide rates, rather than the total suicide rate, might be a better correlative parameter with cholesterol levels. The importance of investigating how cholesterol content and acyl chain composition alter the physical properties of membranes is highlighted by the functional deficits associated with 22:6n-3-deficient diets and the antisocial behavior associated with varied cholesterol levels. In the context of psychological disease and neurotransmitter receptor function, it is important to investigate how compositionally induced changes in membrane physical properties influence membrane-associated signaling processes. The visual transduction pathway is the best characterized G-protein-coupled signal transduction system. Study of the visual receptor, rhodopsin, over the past several decades has made it the archetype of the growing superfamily of heptahelical G-protein-coupled receptors (reviewed in Litman & Mitchell, 1996a). The preeminent position of rhodopsin in this important superfamily will likely increase with the recent publication of the three-dimensional structure of rhodopsin (Palczewski et al., 2000). Many neurotransmitter receptors, as well as the olfactory and taste receptors, are members of this superfamily. Therefore, the effect of lipid membrane composition on various steps in visual signaling will be reviewed in some detail in this chapter. Given the similarity in mode of signaling, the observations made for the vision system should be of general applicability to other members of this receptor superfamily.